The NFC Forum has published a white paper about developing and deploying NFC smart posters, designed to encourage businesses and consumers to implement and use them. Leaders of the Forum will be at the Wima conference in Monaco this week to introduce the “How to use NFC tags and readers to create interactive experiences that benefit both consumers and businesses” document. The goal of the white paper, written by members of the NFC Forum’s ecosystem development working group, is to empower and encourage businesses and consumers to implement and use NFC smart posters. “The extensively illustrated paper offers an easy guide to understanding what an NFC smart poster is, what is required to develop NFC smart posters, and how to avoid common obstacles when creating them,” says the Forum. 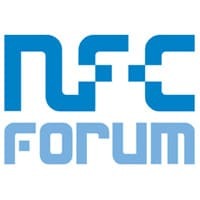 The white paper is available for download from the NFC Forum website.